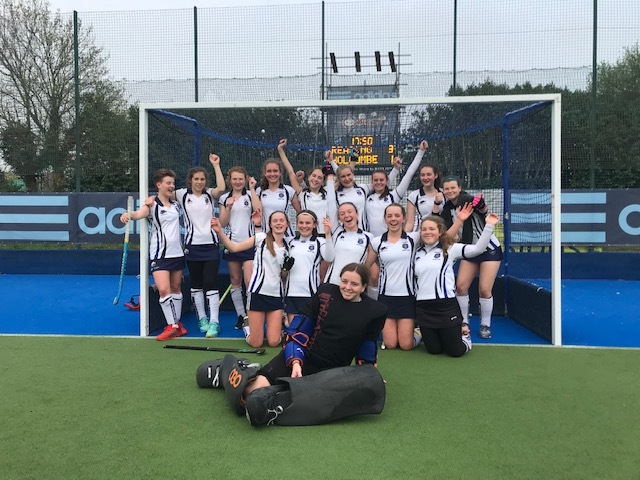 Maidenhead Girls u16s secured a top three finish in the England Hockey Western regional finals on Sunday at Reading. A terrific hat-trick by 14-year-old forward Tilly O’Dea in the final game against Bristol Firebrands clinched third place in the tough competition. Maidenhead had started in fine form with a tense 3-2 win over local rivals Reading. In the qualifying group, Maidenhead had led both games only to be forced to settle for draws following Reading fight-backs. This time round, Maidenhead stormed into the lead with three first-half goals in as many minutes from Emily Tapner-Evans, Jess Edmunds and Tilly O’Dea. But, true to form, Reading tried to stage another come-back and scored two second-half penalty corners leaving Maidenhead happy to hear the final whistle. Maidenhead were unbeaten in qualifying, but they finally tasted defeat in their next round-robin game, going down 3-0 to eventual winners Oxford. They also lost 3-1 to runners-up Wooton-Under-Bridge with Jess Edmunds scoring the consolation goal. Head coach Richard Tapner-Evans was delighted with the top three final place and the girls’ overall display. He said: “This was a fabulous finale to a great season. The girls played some lovely hockey and thoroughly enjoyed themselves.